The Hux Shard project, an inspirational building, designed to be carbon negative, concrete free, manufactured offsite, use local materials, be ecological, complement the landscape and be a long term educational asset. The Hux Shard project, an inspirational building, designed to be carbon negative, concrete free, manufactured offsite, use local materials, be ecological, complement the landscape and be a long term educational asset. Designed under the NPPF Paragraph 79 guidelines. Featured above is an artistic illustration of the building based on an accurate CAD drawing. The project is a truly outstanding and innovative design, helping to raise standards of design more generally in rural areas. Reflecting the highest standards in architecture, the project will significantly enhance its immediate setting and be sensitive to the defining characteristics of the local area. 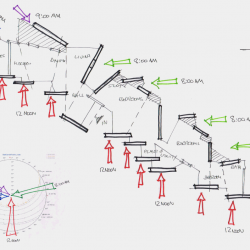 The design team explored fractured wall panels and how they started to form a linear arrangement depicted by the entrance level contour. 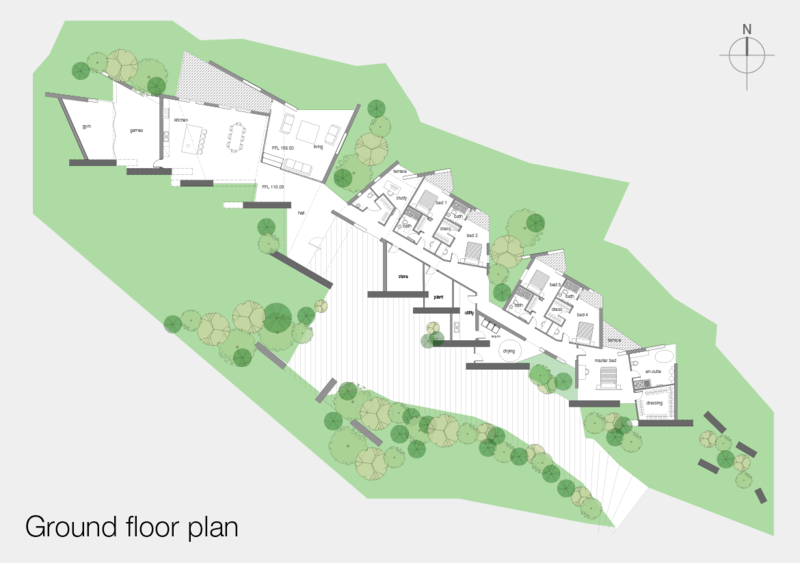 Floor plan and principal of planting integration is developed enabling meaningful discussions with the landscape architect and ecologist. On entering the Hux Shard the visitor would immediately experience the building unfolding into the landscape with distant views towards Huxham. 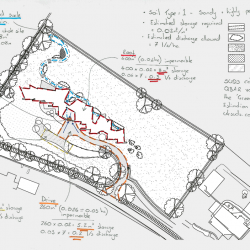 Hux Shard Drainage Strategy: Surface water which is not used for for flushing toilets and garden use will be conveyed to a wetland through an open swale, forming a significant landscaping feature on the site. 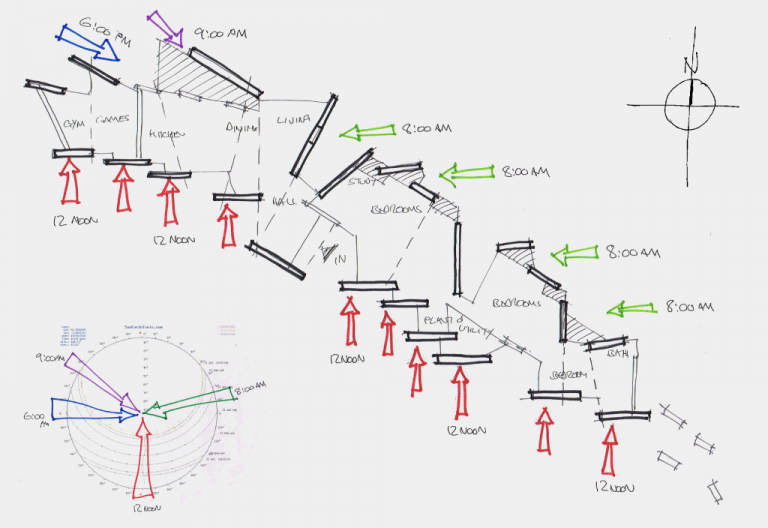 Orientation of the fractured wall panels aligned in relation to room function and sunlight ingress/energy capture, form the footprint of the building. 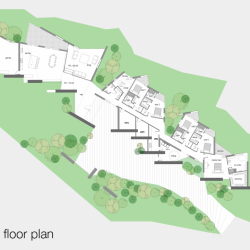 The building’s relationship with the landscape was the initial design driver. A bolder, cleaner, elegant form has been chosen rather than an earth sheltered house lowered and sunken into the landscape. 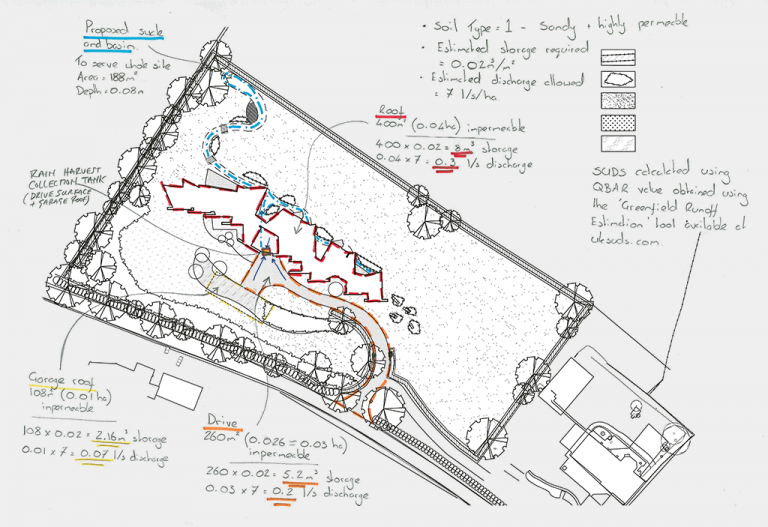 The aim is to produce a building on a site that improves the ecology, enhances its surroundings and provides energy for the country; generally speaking most development sites do precisely the opposite and hopefully this project can provide a didactic solution to address this issue. The building would produce more energy than it consumes. Orthodox concrete strip foundations have been challenged and concrete has been omitted from the design. 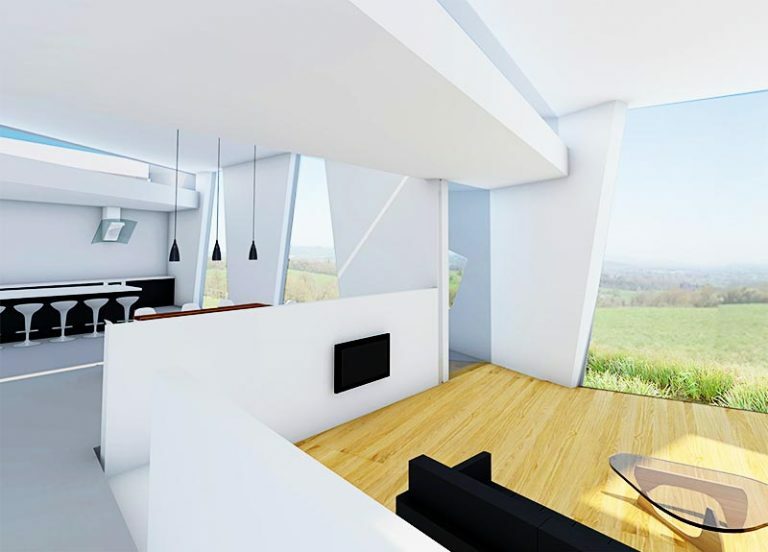 The building will be predominantly produced offsite. The use of local and recycled materials have been integrated into the design. There are no special or unusual features but instead carefully crafted methods, marginal gains, materials and management have been utilised in an efficient, ecological and artistic form. The knowledge and experience gained will be published on this website and made available to the public. 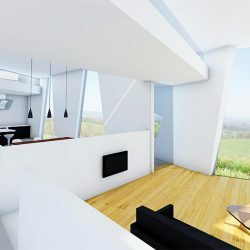 In addition the performance of the building would be monitored and an annual open day would be held to enable future builders and designers to learn from the building methods and details used. This could be very useful for the self build market that the government are currently nurturing. 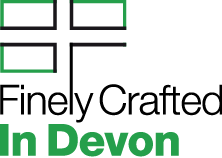 Website finely crafted by Rees Kenyon Design in Devon, England.